Chris and Phil demonstrated how to fire up an ilFornino Wood Fired Pizza Oven at Saxon Woods Golf Course & Grill. They put small kindling wood on the surface and added newspaper before carefully placing the logs into the oven and starting the fire. They let it burn for a few minutes and noted that Weber cubes can be added to get the fire to start up faster. Once the fire was burning, they let it continue for approximately 35-40 minutes in order to ensure the oven heated to its desired temperature. If you are doing this in your own oven, always make sure the chimney is open. Crack the front door of the oven so the oxygen will flow and you don’t lose the heat. 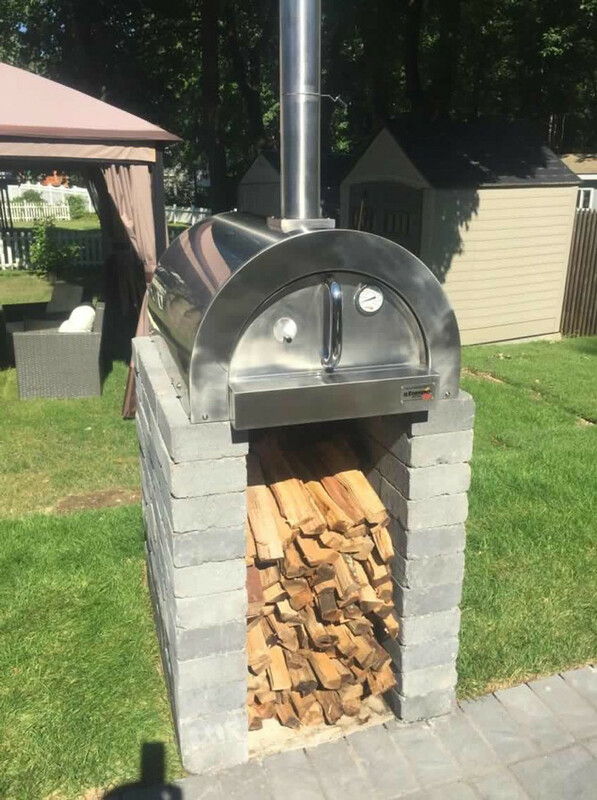 As the temperature rises in about 15 or 20 minutes, you can start to push the wood to the back of the oven and add one log at a time. This will cause an increase in temperature and ready the oven for cooking.